NewsGuard admitted Monday that many of the news outlets it labels as “credible” are guilty of spreading fake news. NewsGuard is Microsoft’s blacklisting tool, a browser plug-in that tells readers which news outlets are “credible” and which are fake news. Naturally, NewsGuard has awarded every establishment media on the planet with its “credible” rating, including those that regularly and deliberately spread fake news, such as NBC News, the Washington Post, CNN, Buzzfeed, etc. To understand just how unethical and deceptive NewsGuard is, I am encouraging you to read its “explanation” for blacklisting Breitbart, because as you will see for yourself, there is not a single example NewsGuard could come up with where Breitbart spread misinformation. In fact, if you read close enough, NewsGuard is blacklisting Breitbart based only on the fact we report on stories NewsGuard does not want reported on. But that is not even the worst of NewsGuard’s trickery and fraud…. The screenshot is below, as is NewsGuard’s explanation for this, which is an admission by NewsGuard that it awards a “credible” badge to those news outlets that not only publish fake news, but keep that fake news up long after its been debunked. In other words, NewsGuard has come out and publicly admitted that its “credible” sites spread fake news. 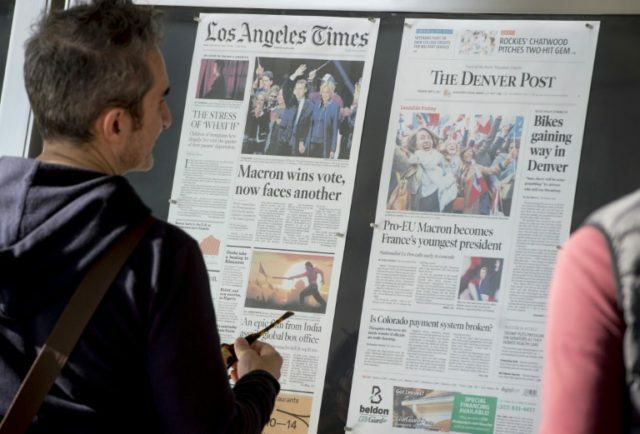 Via Twitter on Monday, I asked NewsGuard how it can defend marking as “credible” proven hoaxes, fake news, and even stories like the Rolling Stone hoax that have been retracted. NewsGuard’s response was quite revealing. NewsGuard rates the credibility & transparency practices of websites as a whole, *not* individual stories. A green icon means that the website has not failed enough of our nine journalistic criteria to get a red rating, but does not mean that specific article is "verified." But take another look at that screenshot of Google searches. Does that look to you like NewsGuard is not rating individual stories? Why, then, is NewsGuard deliberately placing its big green checkmark of approval next to fake news headlines? Note how NewsGuard’s big green checkmark of approval is not sitting next to the name of the “credible” news outlet. Oh, no, that big green checkmark of approval is seated right next to proven lies about Trump and the first lady — proven lies about the first lady being an illegal alien and Trump threatening to invade Mexico. What is the explanation for this: Oops? Forgive my cynicism, and this is just one man’s opinion, but I think NewsGuard is lying. 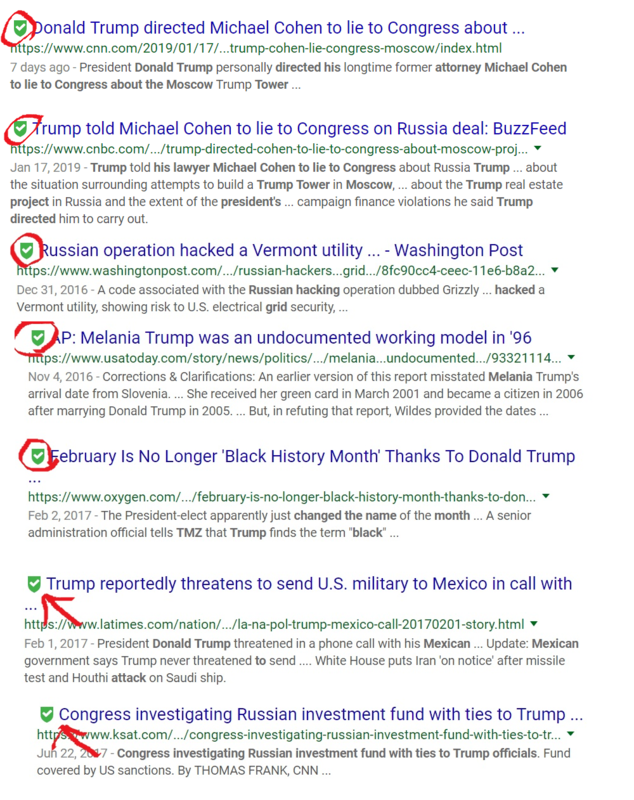 There is no one with even a dribbling of intelligence who can look at that screenshot, who can see NewsGuard’s big green checkmark of approval sitting there proudly next to fake news about Trump, and believe that is not deliberate. Let me boil this down for your: If the establishment media publishes lies and smears about Trump, NewsGuard wants you to believe those lies and smears are “credible.” Because no one operating in good faith would allow it to happen. A green icon means that the website has not failed enough of our nine journalistic criteria to get a red rating. Stand back for just a moment and think about what NewsGuard is admitting to here…. The screenshots I sent NewsGuard in my tweet are from Friday. So NewsGuard looked at my screenshot and admitted to me that news outlets responsible for spreading fake news, for spreading hoaxes and lies, have earned its “credible” rating. NewsGuard is also admitting that news outlets that are still-Still-STILL spreading this fake news have earned its “credible” rating. What are NewsGuard’s standards when it admits to such a thing? Obviously, NewsGuard has no standards, other than to ingratiate itself with the establishment media by keeping the media’s fake news lies alive and kicking with that big green checkmark of approval. If Microsoft and NewsGuard are not guilty of using deception and outright lies to meddle in the 2020 election, no one is.